We are pleased to inform our members of the newly formed IEEE UK and Ireland Blockchain Group. The Group is here to serve members in creating a forum for professional networking, learning, and growing of the rapidly emerging Blockchain field and to organise events covering the start-of-the-art in Blockchain technology and applications. 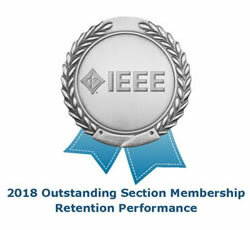 We are proud to be among the few Sections to form an IEEE Blockchain Group, and certainly the first Section in Region 8; a demonstration of our commitment to member value. We invite members interested in joining the Group to contact Cyril Onwubiko, the Blockchain Group Chair.